Gritty progressive metal quartet BARISHI unveils its adventurous new album 'Blood From the Lion's Mouth'. More than simply "progressive", BARISHI strikes a deft and unique balance between elegance and aggression. Tracks such as "Grave of the Creator", "Bonesetter", and the title track are ruthlessly heavy and oddly beautiful, and delivered with purpose and poise that belies the quartet's young age. 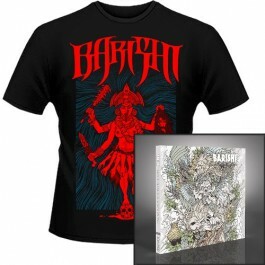 BARISHI are a band on the rise and 'Blood From the Lion's Mouth' a stellar work of truly stirring and artful heavy music.